We've already seen all of the OnePlus 6T in leaked marketing pictures, so the latest images showing the upcoming handset might be anti-climatic. They show renders of the handset nestled inside various cases produced by Olixar, and are posted on retailer MobileFun's website. We expect to see the OnePlus 6T become official during an event that will be held on October 17th. OnePlus has already revealed some of the most interesting features of the phone, including an in-display fingerprint scanner that it calls Screen Unlock. The handset will not have an IP rating, nor will it be capable of charging wirlessly. And the OnePlus 6T will come without a 3.5mm earphone jack. 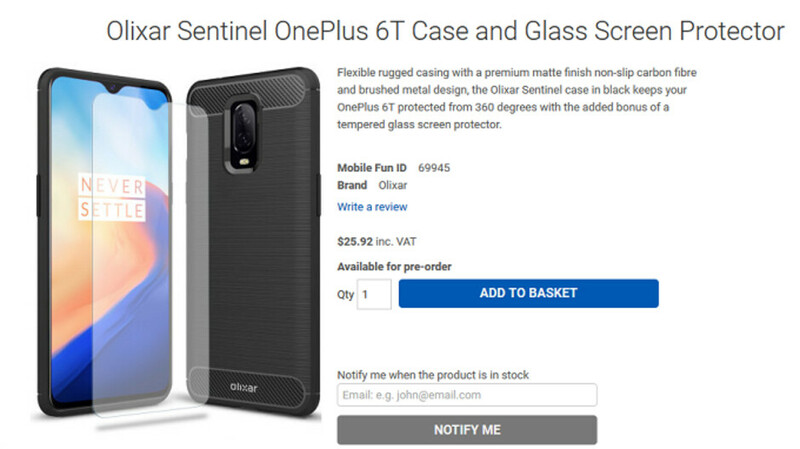 If you're partial to officially produced accessories, OnePlus will be offering its own line of Bumper cases including a Nylon case in Black. 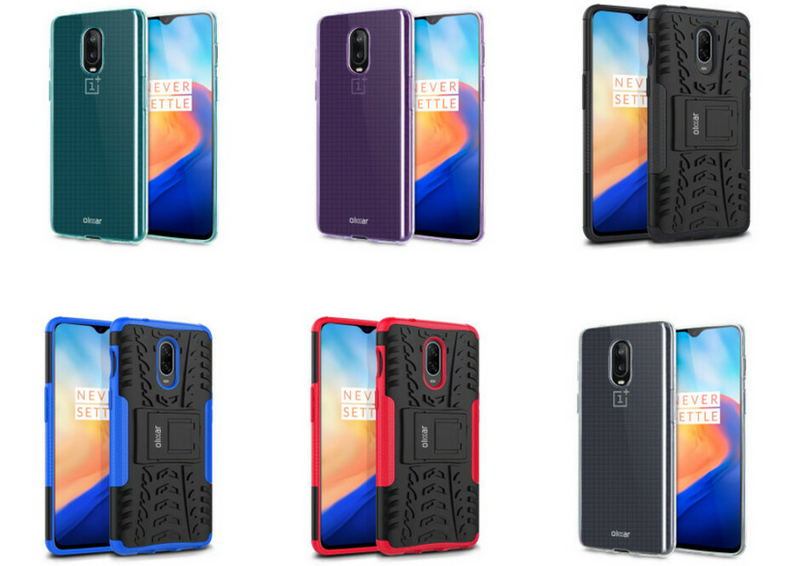 Other OnePlus Bumper cases include Ebony Wood and Karbon versions. There will also be two protective cases available, in Sandstone and Karbon. A wallet case prevents hackers from accessing credit card data by including two card-sized slots that block RFID signals. The OnePlus 6T is expected to sport a waterdrop notched 6.4-inch AMOLED display, carrying a 1080 x 2340 FHD+ resolution and an aspect ratio of 19:9. Under the hood, you'll find the Snapdragon 845 Mobile Platform with 6GB/8GB of RAM and up to 256GB of native storage. The device will have three cameras, two on back and a front-facing camera for selfies and video chats. OnePlus is believed to have hiked the capacity of the battery inside the unit to 3700mAh from the 3300mAh battery found inside the OnePlus 6. Ebony bumper case ftw. First party cases are much better quality than aftermarket. Side note: That Spigen Rugged Armor design needs to go away. Played out design that was never good in the first place. That rugged case looks like a piece of tyre slapped on the bag of phone. Awful aesthetics.